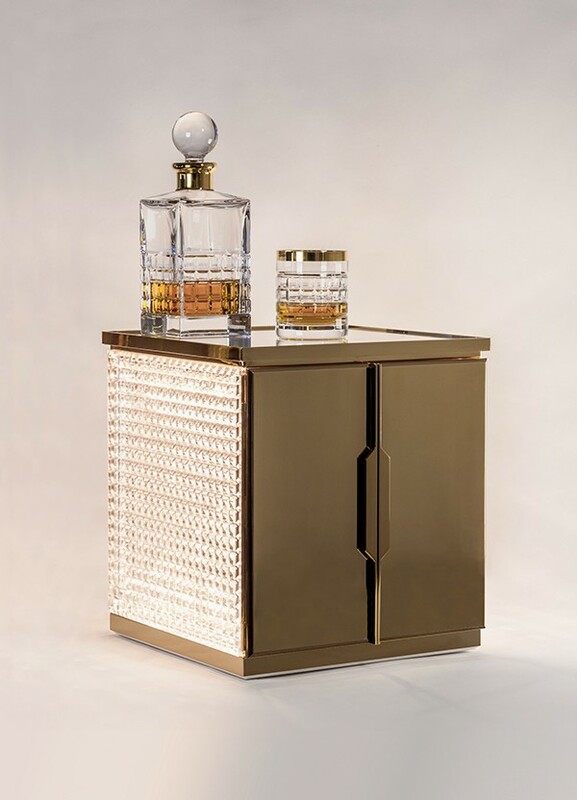 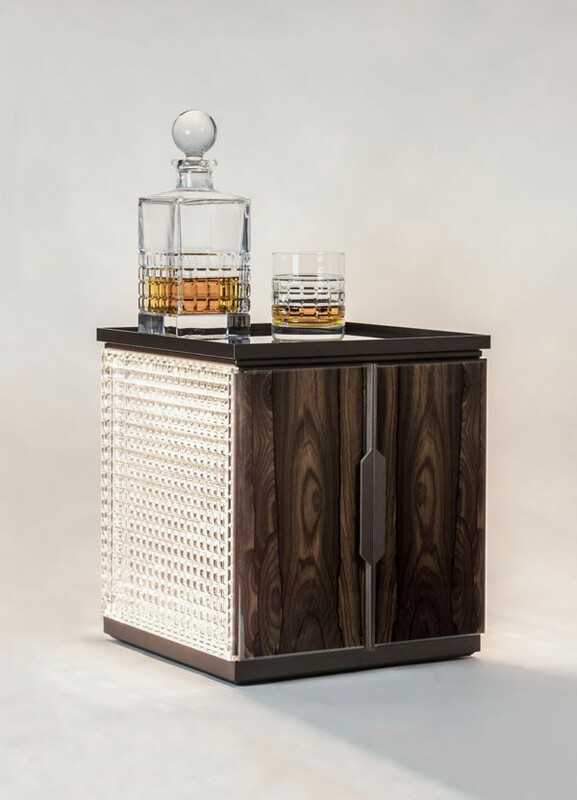 The interest and excitement surrounding the launch of the London Desktop Bar prompted Jo Sampson Studio to revisit this luxury living touchstone, customizing the original vision to create four exclusive, one-of-a-kind bespoke versions that are the last word in high-octane living. 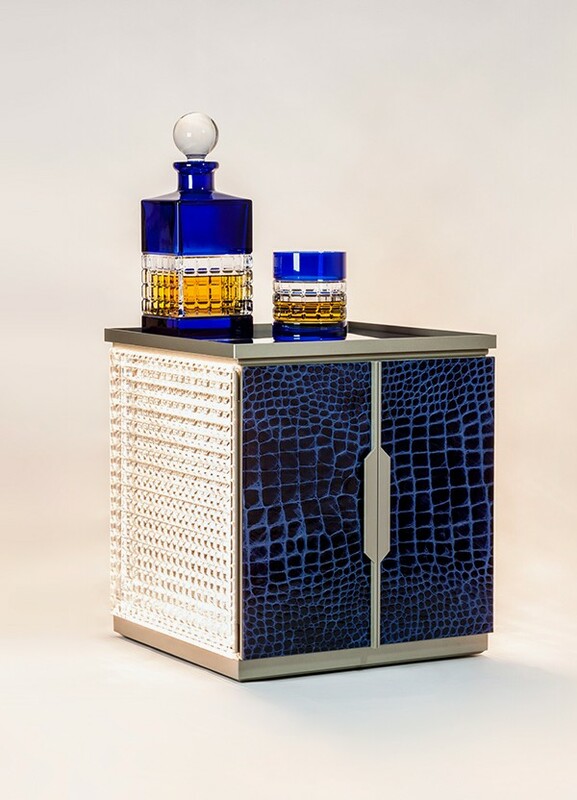 The collection comprises of a quartet of color-themed presentations, each featuring rich, singularly selected materials and appointments. 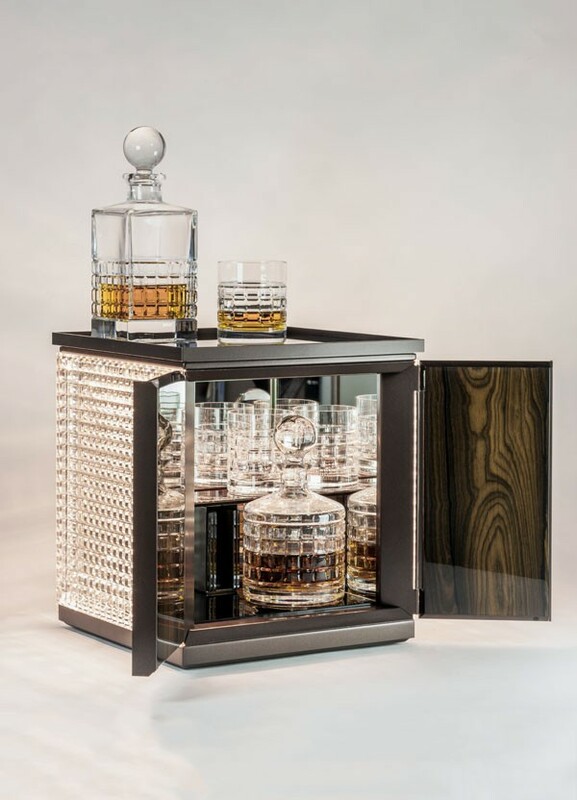 The bars are completed by the addition of matching crystal decanters and glassware to compliment the individual personalities. 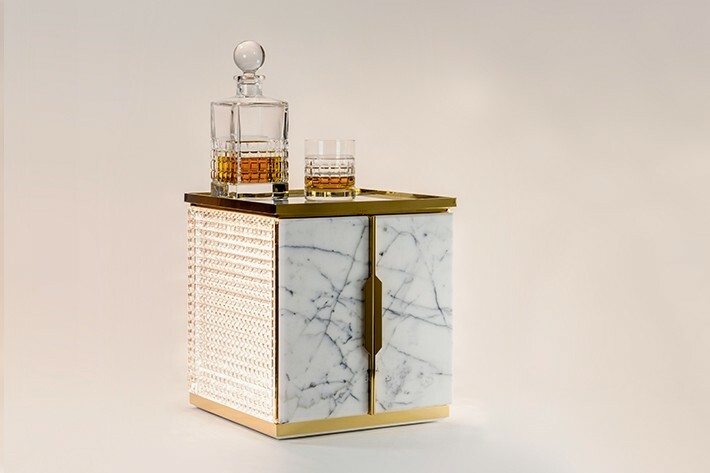 The bespoke bars are sold exclusively at Harrods.